How is a Leaky Faucet Fixed? Why is a Leaky Faucet a Problem? It causes your home to use more water than necessary. The dripping will add up into extra water use over time. The water that keeps dropping could hurt your sink from all the added pressure. Your faucet’s parts may start to rust or bear with excess fatigue from the consistent amount of water moving through. Depending on what it is like, the dripping sound that comes with a leaking faucet can become increasingly annoying. Your faucet will go through fatigue over time as its parts start to wear out. The O ring that keeps the faucet handle in place can wear out, thus causing the handle to keep from closing off the water all the way. A washer that is constantly forced along the valve near your tap can wear out over time, thus allowing some water to move through. Many parts around the faucet, including screws and adjusting rings, might become loose over time. The seals used to keep the water in your faucet under control can also wear out. These seals may include ones that filter the water as it comes out. When seals wear out over time, it becomes easy for them to start leaking water. It is clear that a leaking faucet can harm your property. This does not have to be a huge burden for long if you know what to do in order to fix the leak. The faucet will have to be properly inspected. Individual parts must be checked to see what he issue might be. In some cases the entire faucet has to be taken apart. Replacement parts will be provided depending on what parts might need to be fixed. A plumber can determine what needs to be fixed by reviewing the parts based on how they are functioning. The faucet will have to be fully reassembled. The extent of this process will vary based on how much repair has to be done. In most cases it should only entail one or two parts having to be replaced. It may also require more parts being cleared out depending on the intensity of the issue. The odds of the entire faucet having to be replaced are minimal as the issue should be easy to fix up over a period of time. 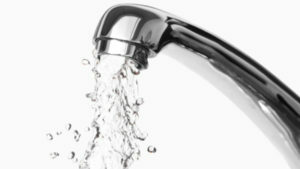 You will need to get any faucets that start leaking fixed up as soon as possible. This is to keep your property from struggling with any more of the effects of leaks than what you can handle.